With initiative of interagency working group under the Administration of the President on questions related to climate change and provision of sustainable development, Russian residents were interviewed on climate change issue. Turned out that 1/3 of those polled Russians have no doubt that the reason for climate change is human activity. The goal of this social opinion interview, according to its organizers, were rate of Russian knowledge in reasons for global warming and readiness to be involved in activities for reduction of anthropogenic load on climate, and also about the role of Russia in international cooperation on climate change issue. The interview of Russian residents showed that more than a half polled (54%) knows or heard something (36%) about climate change occurring on our planet. Among those who consider that global warming is happening, 33% thinks that the cause is a human activity, but 42% regards that human activity and natural process are equal. So the research has shown that almost a half of country inhabitants evaluate the problem of climate change as a warning to the future generations. Third believes that this is a problem of our time and only one in seven respondents thinks that global warming is not a treat to anyone. Over 40% of population believes that climate change is a serious problem but it must be addressed along with other equally important issues. Most (more than 70%) thinks that climate change problem must be solved on the international level. 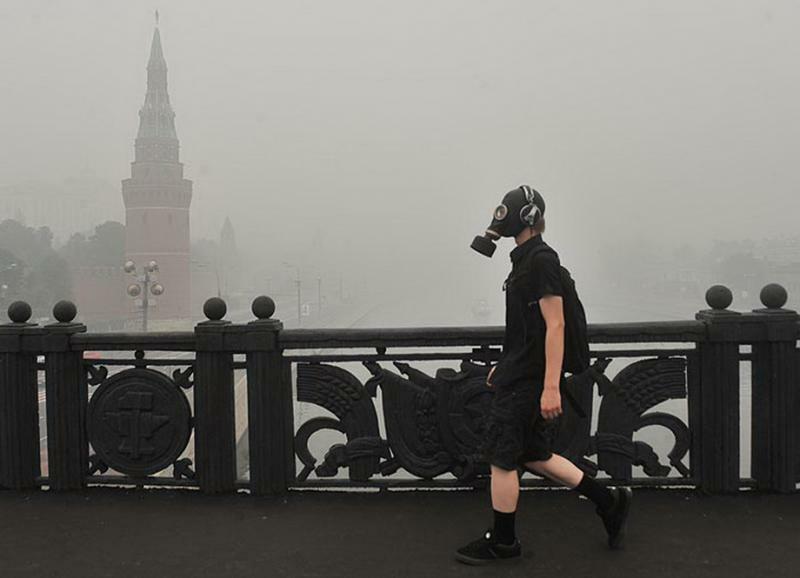 And, on the opinion of more than a half (45%) of the population, Russia needs to play a leading role and take a unilateral commitment to reduce greenhouse gas emissions. A little bit less respondents (36,7%) oppose such a decision. More than half respondents (53%) would support the introduction of economic stimulus for reducing greenhouse gas emissions in Russia. However, each third respondent found it difficult to answer on this question. The views of respondents on the willingness to give up some benefits in interests of climate protection are almost the same: 41,4% of interviewed were ready to make that step, 40,6% - were not. Among those who agree, more often than others (42%) are the answers of the transport issue. For example, “refuse to use automobile”, “will use public transport”, “will use car less”, “will use different fuel for my car”, “will use more environmentally friendly gasoline”. Over 9% of interviewed said that they could refuse usage of plastic and polyethylene packaging. Also respondents were ready to eliminate the use of several types of household chemicals, aerosol cans, light bulbs, batteries. However 10% of interviewed said that nothing will force them to give up certain benefits and habits in interests of climate protection. More than 60% of the respondents when choosing consumer products and food to some extent consider the quality of production regional environment and ready to give their preference to more expensive, but more ecological products. Generally the results of interview were more environmentally friendly than the situation was evaluated by international experts, who argued that "the level of awareness and concern about climate change in the population of Russia, although is really low, but continues to grow steadily.” The experts, by the way, claimed that "extreme weather phenomena, maybe, will further push society to a broader discussion of these issues and, ultimately catalyze a national policy. " The observers of climate negotiation process hope that the results of public opinion interview will inspire members of the official Russian delegation, on the negotiations, to work more constructively: Russians want to see their country in the lead climate process.